STILLWATER — Wednesday will go down in the Oklahoma State record books as a bad day. Certainly not as bad as others, but it was a day that is going to define the remainder of the 2018-19 basketball season. If the Pokes surprise everyone and finish in the middle of the pack in the Big 12, the narrative will be about how they did so with just eight scholarship players. If they struggle for the remainder of the season, it will be because they have only eight scholarship players. After the three players, Michael Weathers, Kentrevious Jones and Maurice Calloo were released yesterday, it was discovered that the player to coach ratio for Oklahoma State was 9 to 8. As in, there are nearly more coaches on staff than players on the roster. It may be difficult, but you can get by in a game with only nine players. But when it comes to practice, it starts to get a little difficult when you can’t field enough for a five-on-five scrimmage. I, along with a few of the other Oklahoma State beat writers, joked about holding open tryouts for walk-ons just to get enough practice players. Well, apparently head coach Mike Boynton and his staff were listening because this is what Oklahoma State Athletics Media Relations put out this morning on social media as well as on okstate.com. 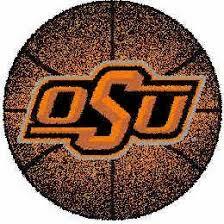 “STILLWATER – Oklahoma State head coach Mike Boynton and the Cowboy basketball team will hold walk-on tryouts tonight at 6 p.m. in Gallagher-Iba Arena. Those interested will need to speak with Alex Hirdler of the OSU Athletic Compliance Office as soon as possible in order ensure their eligibility. Alex ([email protected]) is located in GIA office 230, or he can be reached at (405) 744-0500. So, if you’re reading this and you’re a full-time student with eligibility, health insurance, a current physical, proof of a sickle cell test and think you can hoop? Then today is your lucky day. Although, if we’re being completely honest about the walk-on tryouts tonight, I can almost guarantee that these guys will be practice players only. But these select few guys will go down in Oklahoma State history as the few that helped save Oklahoma State basketball in 2019.